I love eating mushroom with nothing else, just grill and then eating them plain or sprinkle a little bit of Maldon Salt on top. 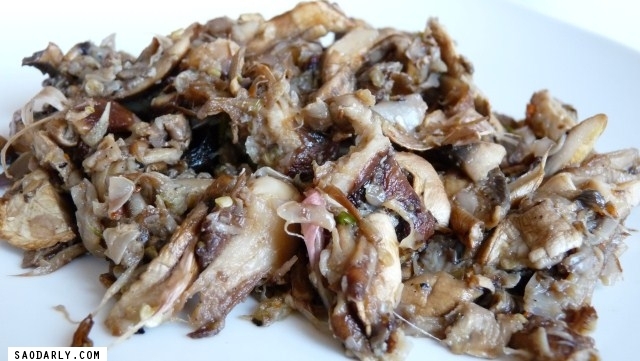 If not, then making Jeow Het or Mushroom Jeow is a good meal. 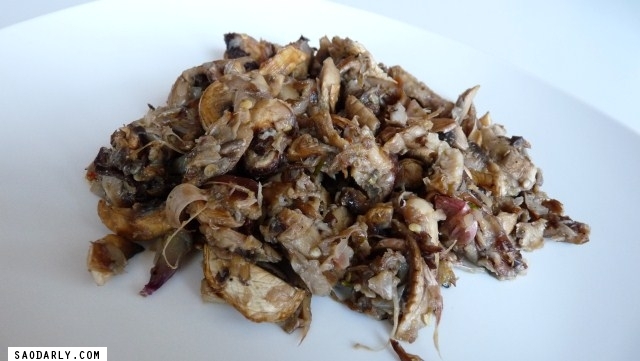 For an experiment, I roasted champignon mushroom, oyster mushroom, and Shiitake mushroom to make Jeow Het. Mixing the three types of mushroom was not a mistake and I had a delicious dinner to be repeated in the future. 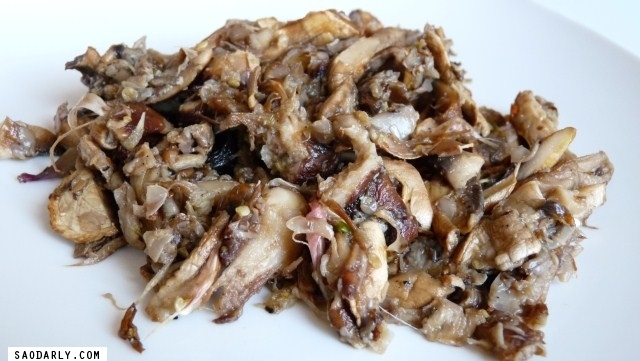 If you would like to try Mushroom Jeow, Food from Northern Laos cookbook has a recipe for oyster mushroom jeow and other jeow to try out.